Another Craigslist find. These sleds were very popular in all areas of the U.S. that had winter snow. They were first developed in 1889 and are largely unchanged in design for the past 125+ years. They became tremendously popular across the U.S. and have become an iconic symbol of the winter and Christmas season throughout the U.S. In fact, the film, Citizen Kane, had the same sled, called Rosebud, featured as a symbol of the protagonist's childhood. I did not restore this sled. I simply reconditioned the wood and metal runners – so it is in original condition. 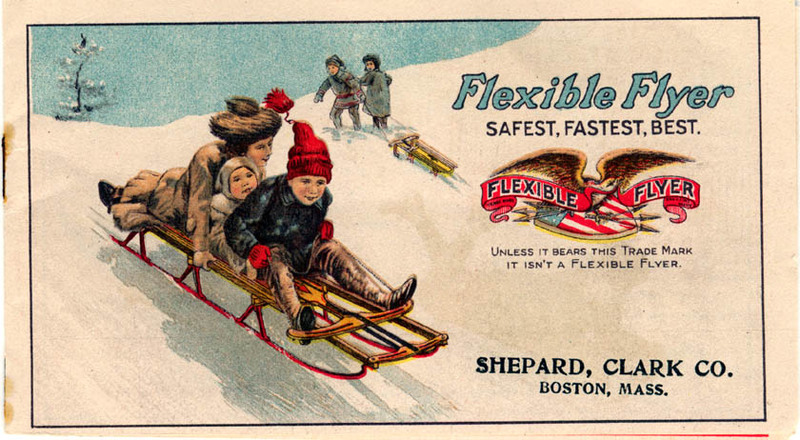 I also had one of these sleds as a child when my family lived in the New England area.